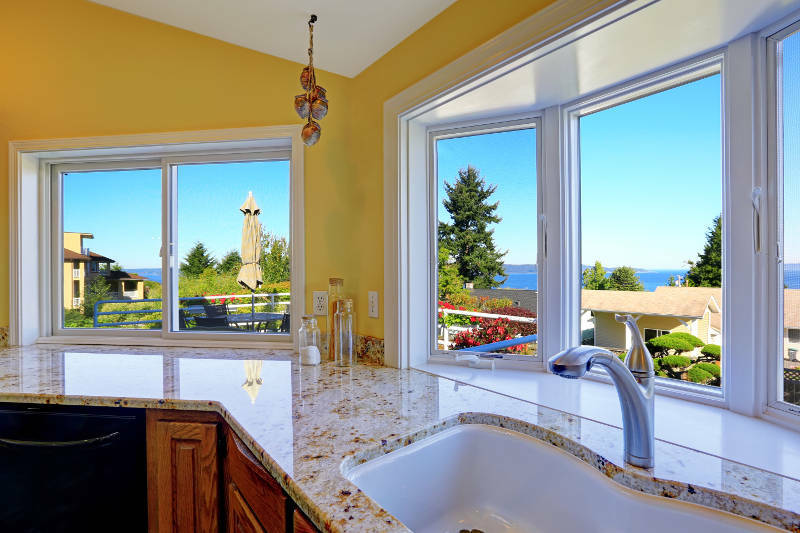 Kitchen Windows: What Style is Best? Home > Blog > Kitchen Windows: Which Style is Best? Whether it’s to cook or eat, you spend a lot of time in your kitchen. That’s why it’s important to get the best kitchen windows for your home. 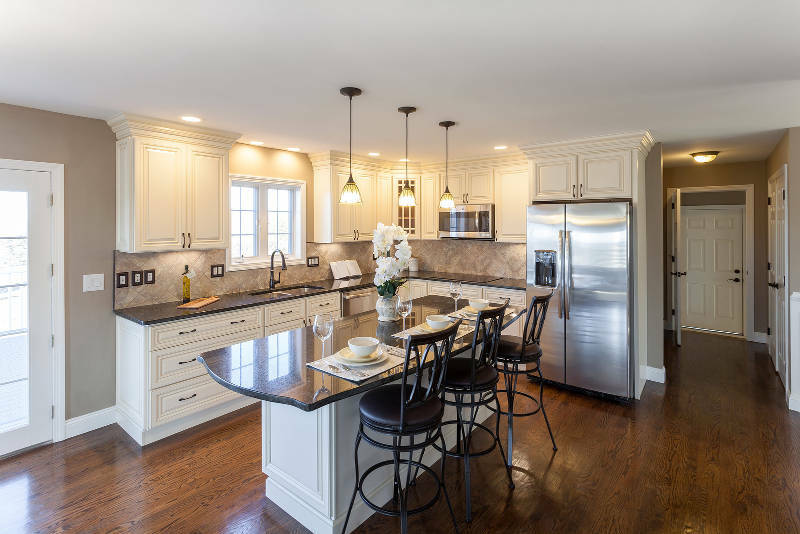 Are different styles better than others for your kitchen? How do you know which one to choose? We’re here to give you that information. In this article, you’ll learn what to look for in kitchen windows and the 5 best style options to choose from. Let’s get started. What Do You Want in a Kitchen Window? Before you choose a replacement window for your kitchen, you need to know what you’re looking for first. Sometimes your kitchen windows are above your sink or counter tops. It’s already a chore to reach them. You don’t want them to be difficult to open too. You want a window that’s easy to open. Preferably, you be able to open them with one finger. That way, no matter how short you are or how deep your sink/counter tops are, you can still open your kitchen windows. What’s the main purpose of your kitchen? To cook food of course. When you cook, you’re bound to create steam or smoke. It would be silly not to get replacement kitchen windows that give you complete control over your home’s air circulation. After all, the last thing you want is the smoke detector going off! 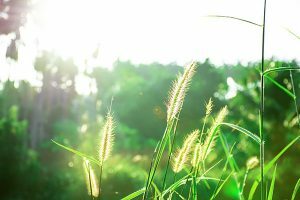 You want to open your windows and get some fresh air into your home. You’ll also want to let some of the smoke and steam out while cooking. Not to mention it gets pretty warm in your kitchen when you’re cooking. Open your windows and enjoy the breeze. What’s the point of making a home improvement if it doesn’t look good? You don’t want mismatched, ugly windows. You want something that looks great both inside and out. Being able to customize the look of your perfect window is important. You want them to match the walls in your kitchen and your home’s exterior. Do you think it’s a good idea to be dicing vegetables with a sharp knife in the dark? Absolutely not! Nobody likes a dark kitchen. Large windows are key to letting the most natural light into your home. You’ll be able to see everything you’re doing. Plus, who doesn’t like a little sunlight? Having large windows also makes the room feel larger and more open. Now that you know what you’re looking for, it’s time to decide which style of window is going to provide all of that for you. 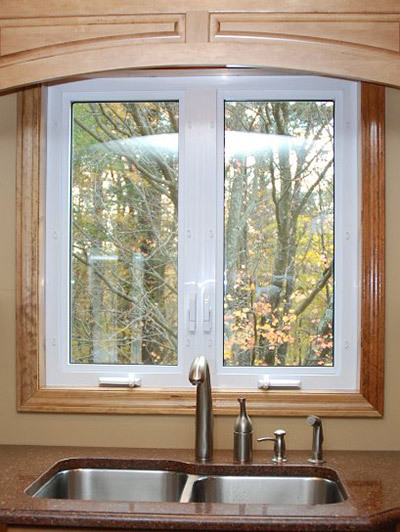 Sliding windows are perfect for above kitchen sinks and counters. Since they open on a sliding track, they’re extremely easy to open. They do more than open easily. 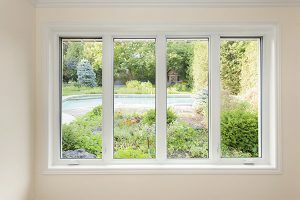 Since sliding windows are similar to double hung windows turned on its side, they give you great control over air circulation. Crack the window or open it all the way – the choice is yours! There isn’t another window out there like a garden window. It extends past the facade of your home and gives you extra space to house plants or knick-knacks. Since a garden window has glass on every side (and on top for that matter), it’s perfect for growing your own herbs year round. They’ll always get the perfect amount of light while being shielded from Chicago’s crazy weather. 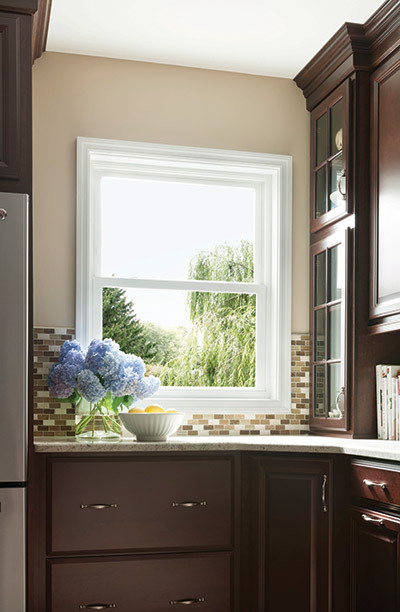 Double hung windows are the most popular window style for anywhere in your home – including the kitchen. You’ll have great control over air circulation because they can be opened from the top or the bottom. Not to mention you can open them as little or as much as you want. If you have children, you’ll love Feldco’s double hung windows even more. Open windows can be dangerous for little kids. Or even worse, they might be able to open your kitchen window when you’re not looking. Double hung windows have two sets of safety latches on each side that prevent the window from being opened further than 3 or 5 inches. Crisis averted! 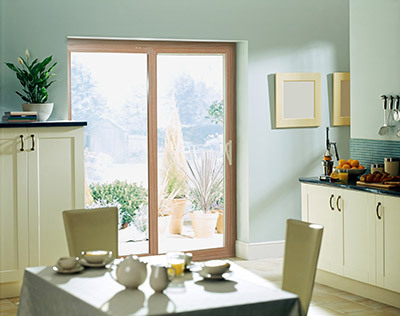 Casement windows are another extremely popular option and they look great in a kitchen. Why you ask? For starters, since they open outwards on a crank, you’re able to control the air flow in your home. You’ll never have to worry about overheating your kitchen again. They also allow a lot of light into your home. When the sun is shining in Chicago, your kitchen will be bright and cheery. Think of a sliding patio door like a large sliding window you can walk through. That being said, if you have enough space, a sliding patio door might be a fantastic option for your kitchen! For one, since the sashes are so large, you’ll definitely be maximizing the amount of light that enters your home. Sliding patio doors are also very easy to open. Like we said, they’re just like large sliding windows. They slide on a track and can be pushed open with a gentle touch. People of all ages will have no problem opening a sliding patio door. 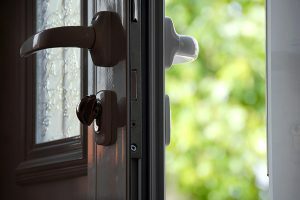 One thing often overlooked is that a siding patio door is another escape from your home in case of emergency. With open flames, sharp knives and large appliances, there’s always a potential for danger in the kitchen. 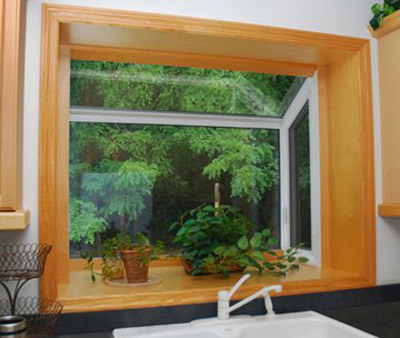 What your kitchen windows are made from can make a huge difference. Rather than going with a traditional wood windows, we think you’d be better off with vinyl replacement windows. Vinyl windows are absolutely beautiful. They’re available in a variety of colors including wood grain finishes. Also, you’ll never have to paint or stain them. The color of vinyl windows is baked-in at the factory. That means they’re maintenance-free. 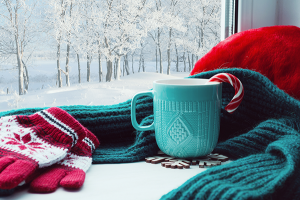 With Chicago’s brutal summers and freezing cold winters, you want a window that won’t let your heat or air escape. Don’t worry. Vinyl windows also energy efficient – especially from Feldco. Our windows have foam filled frames and double pane, argon gas filled glass. No heat or air will be escaping your house! This takes stress off of your furnace or air conditioner to reach your ideal temperature. That means you’ll save money on your energy bills. 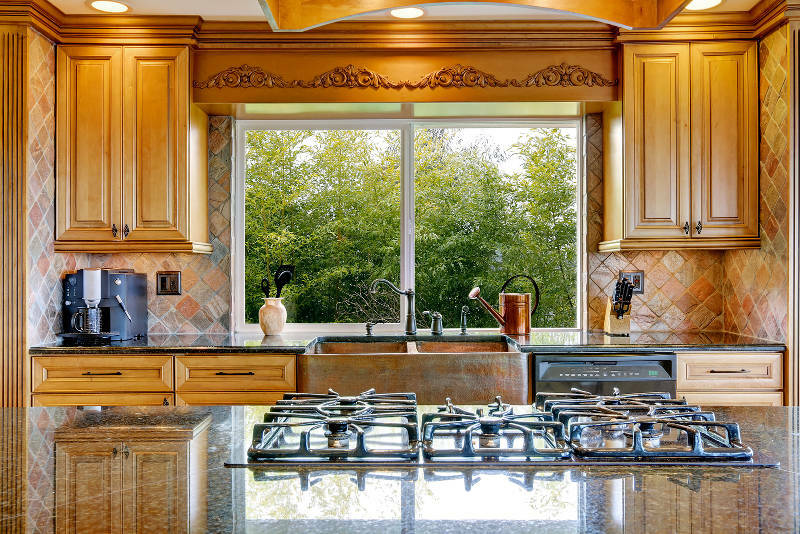 Vinyl is the perfect material for your kitchen windows. Your kitchen windows should allow light into your home, give you control over air circulation, look great and be easy to use. Also, we think vinyl is the best window material option. Vinyl windows are low maintenance, energy efficient and beautiful. 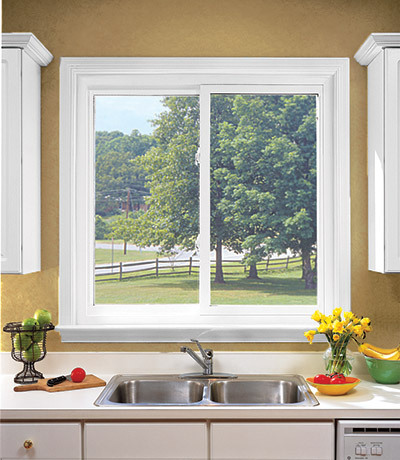 If you’re looking for replacement kitchen windows, look no further than Feldco. We offer all kinds of different window styles made from vinyl. Join 350,000 delighted homeowners and get a free quote now.